Engineers at the University of Southampton have designed and flown the world’s first ‘printed’ aircraft, which could revolutionise the economics of aircraft design. No fasteners were used and all equipment was attached using ‘snap fit’ techniques so that the entire aircraft can be put together without tools in minutes. The project team worked in partnership with 3T RPD who undertook the manufacture and detailing of the design, as well as supplying laser sintering knowledge and expertise. This project has been led by Professors Andy Keane and Jim Scanlan from the University’s Computational Engineering and Design Research group. Now, the University is launching a groundbreaking course which enables students to take a Master's Degree in unmanned autonomous vehicle (UAV) design. This is the first scheme of its kind and from September 2011, postgraduates can take part in a one-year programme covering the design, manufacture and operation of robotic vehicles. The degree will cover marine, land based and pilotless aircraft, typically used in environments that are deemed unsafe or uneconomic, such as exploration under sea ice, or monitoring gas emissions from volcanic eruptions. 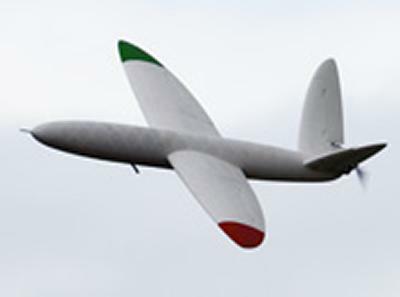 NASA expects UAVs to become 'standard tools' in fields such as agriculture, earth observation and climate monitoring.